Subjects Discussed: How to raise awareness of translated fiction, an idea involving Chad Post, on being a designated translator, language adopted by literary critics, a very friendly dog in the Wing household, breaking down a novel, dictionaries, on hooking up with Paule Constant, working class vernacular, dialects, maintaining the tone between funny and heartwrenchingly sad, working against first impressions in translation, the myth of auctorial spontaneity, a forgotten movement in the late 1970s and the early 1980s to bring attention to translators, the advantages of freelance translating, and putting the translator's name on the book spine. Well, folks, the Betsy Wing podcast is taking a tad longer to finish due to processing time and time available (see Figure 1). 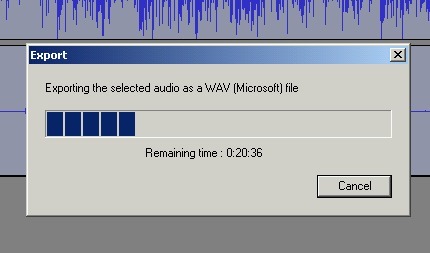 I hope to get this podcast finished by tomorrow. In the meantime, enjoy the latest podcast featuring Kellie Wells and the tireless Dan Wickett. The following is an interview with Betsy Wing, a literary translator who has made it possible for those of us reading in English to enjoy works from authors we otherwise would never have had the chance to enjoy. Hello, and thanks for taking some time out of your busy schedule to answer some questions. What language(s) do you translate from and to what language(s)? Hi, Dan. I translate only from French, a language I read well and speak adequately, to English, the language in which I speak and write with pleasure. Which of the languages you translate from and to is your native language? How did you come about learning the other language(s)? English is my native language. My elementary and secondary school education included French and I could read it well enough to place highly when I went to college. However, nobody had really pointed out that it was a spoken language and I was discouraged by the fact that the college courses were taught in French. I could understand what the prof was saying but never compose a decent answer. So I quit after first semester. I could, however, read well enough to continue actually reading French, which was useful to me in my major—Oriental (as they then called it) Art. The primary works on the subject were all written in French. The real clincher was when I married a French Lit major who went on to get his PHD in French. In order to talk to him about what he was doing I read a lot of the books he was reading and heard a lot of the theories in the air about those books—a sort of second-hand doctoral education. We also spent a number of years in France where I finally learned to speak French adequately. Do you consider yourself bilingual? How did you get into translating? It's common in African literature, even today, to find writers "writing back" to Conrad's Heart of Darkness, now over a century old. Still, I was surprised to find a contemporary French writer so engaged with Conrad. Constant's is an elegantly constructed, darkly comic novella. certain kind of grandmother would insist upon as part of a young man's launch—also seems like a detail from Conrad or Proust. after the Jesuit's profanity: it so elegantly pops the mood of what's come before, breaking the spirit of somnolent bibliophilia. workers are too sun-stricken to work very hard and where the order from the hardware supplier never arrives. In White Spirit, an epidemic wipes out much of a town some years back, but as a memorial "all anyone had been able to find were military statues: soldiers from the First World War raising bugles to their lips." And the supply depot over which Victor presides is a wasteland of surplus goods, unwanted and defective, useless and even poisonous. This satire of the dangerous excesses of global capital reminded me of George Packer's great New Yorker essay following his t-shirt from a thrift shop on the Upper East Side through the vast global gray market of used clothing resale to an open-air market in Africa where a man buys it only because Packer, eager to finish his essay, puts it on top of the pile. Having been touched by a white man has now, it seems, made it "lucky." This example of internalized racism—the African man who overvalues a white man's touch—makes me queasy. I think it makes most Americans queasy. But I'm not sure we should therefore ignore the phenomenon. Constant faces it head on: a major subplot of the book revolves around a mulatto girl bleaching her skin, striving to be white. So I think it's interesting to pause and be disturbed when Constant writes: "blondness and blue eyes evoked in her a submissiveness coming from deep in her belly, a resigned and happy abandon." magazines inspires the bleaching campaign, and, finally, Lola, Victor's counterpart in naivete, the mulatto girl who desperately gobbles beauty advice about becoming a blonde. 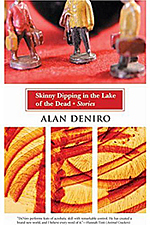 Though there are events as shocking as the attack on the riverboat that kill Marlow's pilot or the skulls on pikes that line the river in the heart of darkness, in White Spirit the tragedy of Heart of Darkness repeats itself as farce. It's an odd, elegant, and spare novella with powerful modernist resonances. Hi folks of LitBlog. I'm flattered and happy to be included among your invited authors and will be delighted to answer questions you may have about WHITE SPIRIT or translation in general. Problem is August in Maine is accompanied by a great deluge of family and friends who know good cool weather when they see it, so I'm not going to be online for much of the next few days, but I'll check in and do my best. This is truly a great venture you have going. Much needed and fun besides! The brilliant Michael O of the Literary Saloon sends the following from his secret location. Discussion continues this week. her: "Africa seemed less terrifying than Bordeaux." The Africa Victor winds up in is not quite a heart of darkness, but one of very dreary bleakness. Race is an issue, whiteness something to be aspired to -- though in fact at this time and in this place it offers only little real advantage. Still, there is that desperate longing for whiteness: Ysee, who runs the brothel, requires: "her girls to be white, classy, and distinguished", for example, -- ridiculous ideals for their situation -- and there is the caustic `white spirit' powder. Whiteness still offers limited privilege at this time, but a position like the one Victor finds himself in suggests many of the aspects of the colonial heritage have long been bankrupted. Good riddance to most of them – but Constant suggests the damage caused lingers fatally on: white spirit has infested everything (long before the powder appeared …). And the embrace of whiteness (symbolic and real) continues to spell disaster. things have been going all along ….. Returning to the book repeatedly since I first selected it, I continue to find new points of interest in it. A few weeks ago it was White Spirit as a commentary on globalization that really grabbed me. Now I'm again wondering about the culture-clash aspects – French, African, and American (including all those Hollywood references), subtler (or at least more pervasive) than I'd first realized. I hope that aside from the simple entertainment value, readers also finds as much in it as I have. We’ve had two UNP titles included on the list of four nominations, and are overjoyed at this recognition of our authors and books. To have such an esteemed group of thoughtful readers take an interest in, and nominate two of our titles, is quite an honor. Skin by Kellie Wells is the latest offering in our critically-acclaimed Flyover Fiction series. White Spirit by Paule Constant, translated by Betsy Wing, is another stellar offering within our program of translating important international fiction. Back in March, you (Dan Wickett) notified me that you would be nominating Skin, and asked if we would be able to provide 21 review copies to the LBC members—which we were very willing to do. Next, I heard from Michael Orthofer, wanting to “toss Paule Constant’s White Spirit into the ring.” We were able to ship both books together to the LBC members needing review copies, and that worked out well. Following the shipment of books, we had only to wait and hope for news that we’d have a title selected—you can imagine our surprise at the announcement of two nominations! This week, we’re following with interest the Lit-blog Coop discussion of Skin that has begun—and look forward to next week’s discussion of White Spirit. Ed Champion has also contacted us recently, to arrange the podcast interviews with authors/translators. The recent Jordan Stump podcast was thoroughly enjoyed. Jordan Stump’s translation of Minor Angels, by Antoine Volodine (UNP, 2002) is mentioned in Kellie Wells’ post of yesterday (thanks Kellie!). 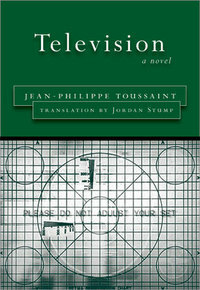 We are pleased to have numerous translations by Jordan Stump on our list—interested readers can find more by going to our website at: www.nebraskapress.unl.edu. Having just joined the blogosphere with a blog of our own at http://nebraskapress.typepad.com/, we realize the importance of this medium. A note of Ed Champion’s to our author, concerning the podcast interview, points out that the Lit-Blog Coop “has garnered the attention of the Associated Press, the Los Angeles Times, the Daily Telegraph, the Village Voice.” In today’s world of shrinking review space in these and other publications, we can credit the litbloggers for illuminating lesser-known writers, and recognizing work from small and university presses. We sincerely thank you, and continue to admire your successes! What attracted me to the book was also that it promised to offer a different look at the colonial experience. I certainly wasn't disappointed in that regard: White Spirit is a black comedy which doesn't try too hard to be 'about' colonialism but goes after and easily hits all the obvious (and some of the less obvious) targets along the way. Among the biggest differences with American satire is in the approach to class and capitalism. We're used to consumer-excess satire in the US, but Constant puts the focus on a different level. The driving engine of the feeble economy in the book is the banana industry, though in Constant's world there is no demand for it abroad, leaving behind "a banana anarchy, a banana menace, throwing the ecology, the economy, and society into disarray". The exploitation of the plantation workers, and their final revenge is also nicely handled in the book, as one of the storylines running through it. The store that the young innocent, Victor, is entrusted with running -- African Resource ! -- is worse than a joke, the last pit of capitalism, a garbage dump where what is not only useless but downright dangerous is unloaded on consumers willing to buy literally anything (because there is almost nothing else): capitalism simply for its own sake (and to the obvious detriment of the consumers caught in it). The contrast with the enterprising local, Queen Mab, who sets up her store under the overhanging roof, is also a clever one: she sells useful things -- but only in the smallest quantities: "flour by the spoonful, beans by the piece", etc. Constant won me over with her opening scenes, the grandmother who raised Victor preparing him for his great adventure abroad. In these scenes -- the suit she buys, paying their respects to her employers -- she captures a specific ordered way of life that we, the readers, can see as misguided but that nevertheless works on some level -- the glue that holds this society together. Class is a big part of it, and one of Victor's problems is, of course, that his adventure promises to transcend these boundaries -- he's to be a director of a branch of African Resource ! -- but it's not that simple (and too good to be true). (I wonder how much of a barrier this is to American readers, who don't have these class hang ups (or consciousness) .....). Constant's sweep is broad and relentless. I was worried that the 'White Spirit' idea (a caustic substance that whitens skin) would dominate too much, but it's really only a fairly small part of the book: the white spirit she's writing about is everything the Europeans have brought (and some of what they've left behind). And she brings it all together well, such as the religious influence -- the proselytizing Father Jean mutating into the abomination that is Brother Emmanuel (the priest's refusal to baptize Emmanuel leading him to take drastic action -- with all its perverse results), a white spirit (as the religion brought to the area was) turned on itself, adapted to a place it does not belong (leading, of course, to the baptism of the monkey ...). Victor is perhaps too much of an innocent in this world (and book) -- too simple a character -- and Constant's approach too episode-based, but the resulting larger tapestry impressed me greatly: a different world and different perspective than I'm used to, and the detail and invention is very well done.